Bestselling and Eisner-Award-winning writer Garth Ennis (Preacher, The Boys, War Story) and artist John Higgins present the action-packed crime story, PRIDE & JOY, coming from Image Comics this May. 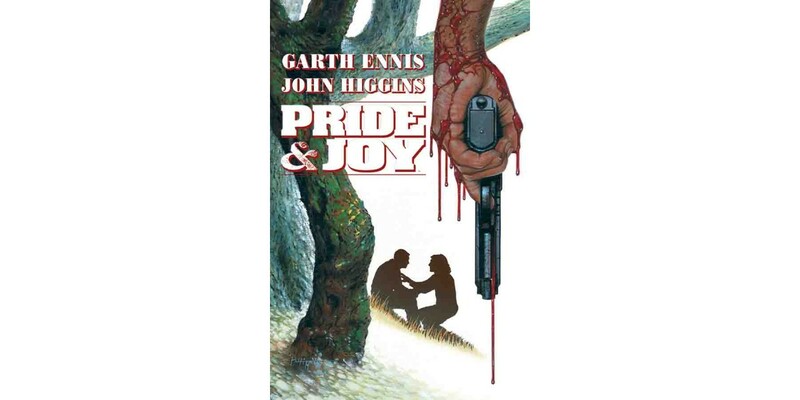 “Pride & Joy is an old favorite of mine, and I'm delighted to see it released in this lovely new Image edition,” said Ennis. Still mourning the loss of his wife, Jimmy Kavanagh lives quietly in the backwoods of New England, raising his devoted daughter and resentful son. That is, until fate comes calling in the worst way and Jimmy's criminal past threatens to destroy his family. PRIDE & JOY (ISBN: 978-1-63215-801-7) hits comic book stores on Wednesday, May 4th and bookstores on Tuesday, May 10th, and will be available for $14.99. It can be ordered by retailers from Diamond Book Distributors with Diamond code MAR160648. It can be preordered now on Amazon, Barnes & Noble, and Indiebound.